Cruisin Over Sixty: Do You Wanna Know A 'Secret'? Do You Wanna Know A 'Secret'? photo here it looks a little different. 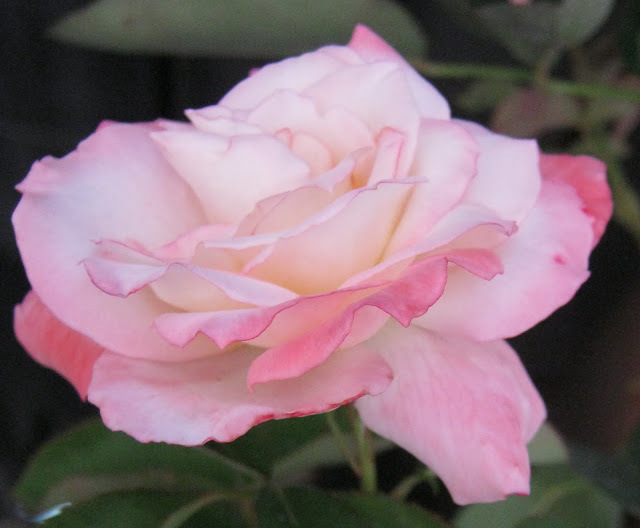 'Secret', a hybrid tea, diease resistant and has a strong scent. 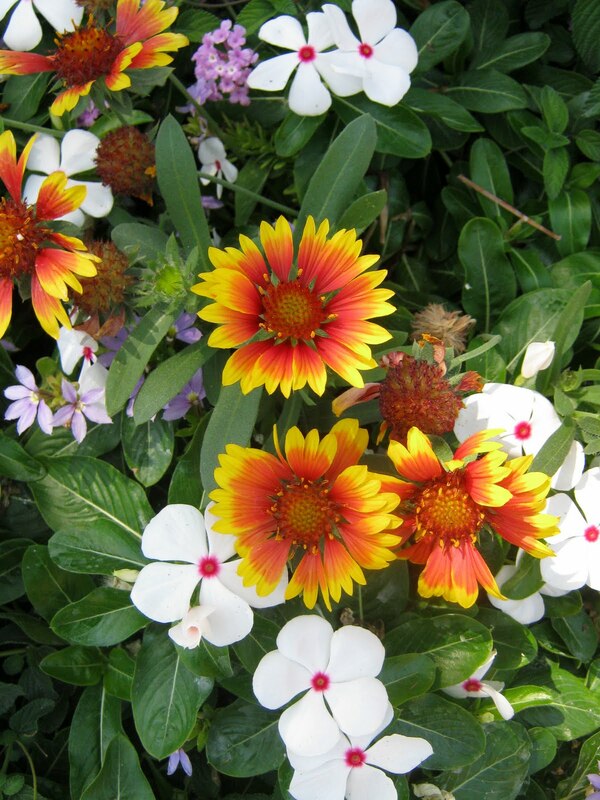 Here are some other beautiful flowers. They had a huge collection of pots of every color. I liked the blues. 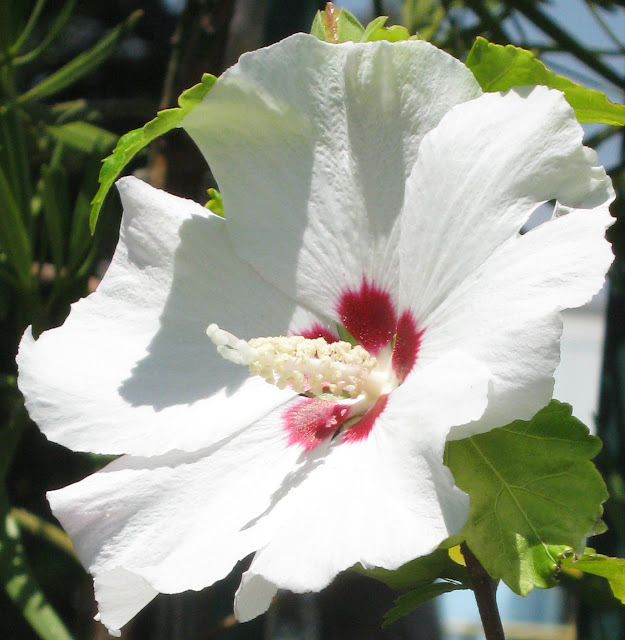 lovely photos..i love the white hibiscus and the aqua pots a lot!! 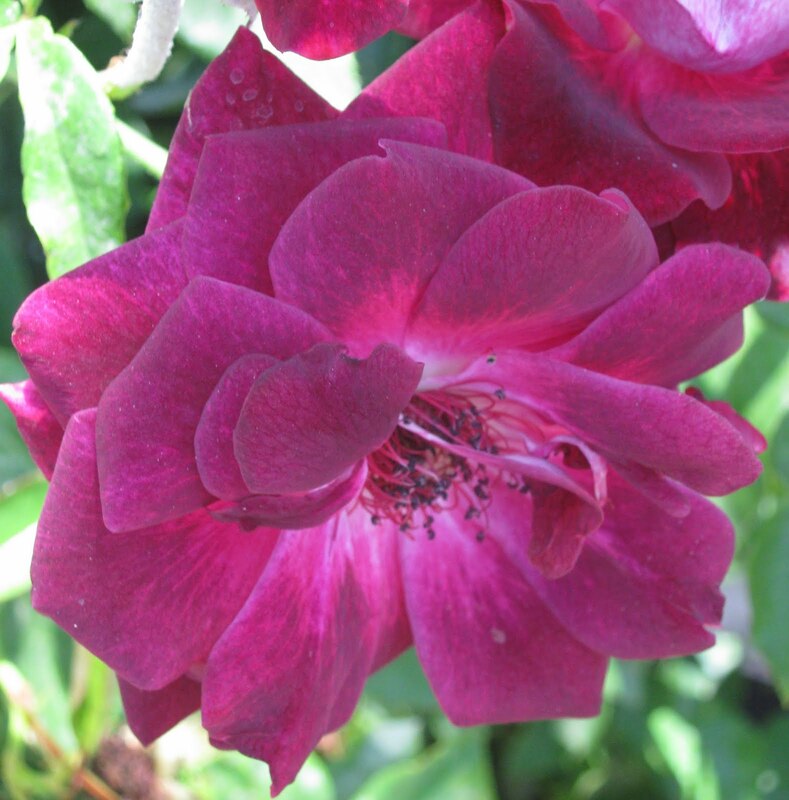 The 'secret' rose is lovely in that it has several colour tones to it. I love your photography of flowers it is so intense. 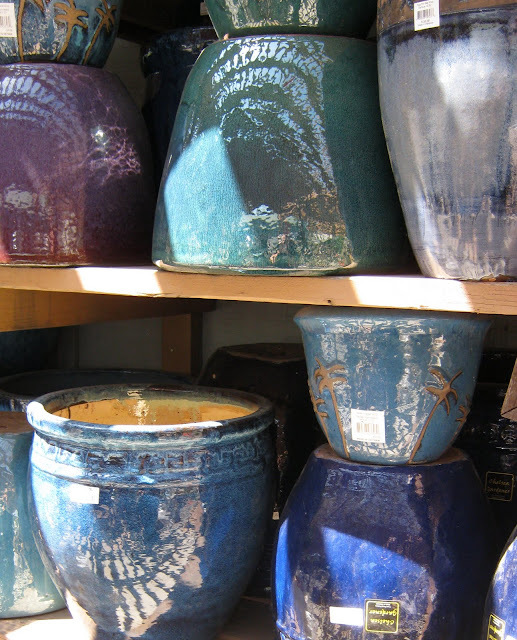 I've got loads of those blue pots (maybe slightly brighter) in my garden! Good for you gor getting the other rose - stunning! You should take some shots of your garden. Your roses are beautiful! I don't do well with them, I have a couple large bushes but that's it for now. I would love to find a New Dawn, it's very hard to find around here. Thank you for visiting my blog and leaving a sweet comment to me. It truely makes me happy! Wow what beautiful roses! Those pots are beautiful too, I have been wanting some oversized pots for a while now. I bet the rose sure is prettier in person. I'd so love to meet her. I bet your garden is the best place ever for long talks and delicious coffee! Thank you dearest for coming by yesterday! It has been a crazy morning and I am barely getting to the computer. So nice to see your roses here!!! What color. Oh my, your roses are lovely! I recently went to a rose garden and realized that photographs are no subsitute for natural beauty. Jealous that you got to see a deep purple rose. Beautiful roses and the white hibiscus is beautiful....They offer those here, but I do not know how they would survive the winters...We has many when we lived in California! I loved and enjoyed your post so much. Lovely flowers are my weakness. These roses are stunning. Your photos are lovely. Could you please tell me the name of the purple rose? I am passionate about purple, anything especially flowers. Your secret rose is gorgeous....But how can you go wrong?? Me again. Please do not worry about the name of the purple rose. I just love the color so much. Most likely not a Florida rose and would not grow here. Seeing the beautiful picture is just fine. I can always search on line. Thank you for getting back to me. Blessings on your week. Beautiful choice. I love them all. I keep looking for places in my garden here I can plant new rose bushes. I am afraid that I am outta space. Just gorgeous!! That sounds like the rose for me, I need something that is disease resistant. Maybe one year I will try to grow roses again. So delicate, I love it!